A recently described ocular disorder has been found in Dalmatians. The abnormality appears to the observer as persistently dilated pupils. The majority of affected dogs are liver spotted, but black spotted dogs with this disorder have also been identified. Slit lamp examination of the eyes by an ophthalmologist reveals dysplasia (abnormal development) or atrophy (degeneration) of the muscles responsible for pupillary contraction. This iris sphincter dysplasia has been noted in puppies as young as 13 weeks of age as well as in adults. In most dogs examined so far, no other abnormality exists. While this disorder alone does not seriously affect the dog, he will be uncomfortable in bright sunlight. He may also be prone to development of ultraviolet light induced cataracts with age. At least two older dogs examined have also been diagnosed with early retinal degeneration. According to Dr. Bob English, board certified veterinary ophthalmologist, this is likely rod degeneration which presents initially as dim light or night blindness. It is not yet certain whether these two anomalies are linked. Dr. English speculates the retinal degeneration may be a sequel to years of excessive ultraviolet light exposure. 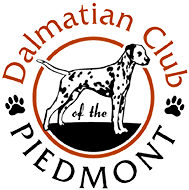 Dalmatian breeders have not traditionally screened for ocular disorders in breeding stock. It is likely that iris sphincter dysplasia has been present but unrecognized in the breed for a long time. Anecdotal evidence supports this supposition. In conversations with longtime breeders, some have reported to have known dogs, usually livers, “with an odd look to the eye” who also squinted in sunlight. Untitled photos of some English Dalmatians (also livers) show the characteristic squint. We are far from attempting to explain the heritability of this condition. Some of the dogs examined are related while others are not.